This free newsletter is published every month for the benefit of FALDP members, legal document preparers, and friends.We occasionally publish a Special Edition such as this one. The new year, 2015, is here. Rolled out before us like a red carpet. Beckoning with new opportunities and adventure. This is the year to establish your new business or take your business to the next level. Take a quick look back and a long look forward. Are there things that you could have done better last year? Things that you had planned to do that just didn't get done? Looking forward, ask yourself exactly what you want to accomplish this year, then map out how to get there. If you want more business, look at what you've done in the past, and make changes to that end. A suggestion that I want to share is to try to refrain from making too many changes simultaneously. My favorite story to explain this relates to my work experience operating a printing press. Oh yes, I've done all sorts of things. A Renaissance Woman. Years ago, when I finished art school as a graphic designer I went to work as a printing press operator. My reasoning for seeking that position was that since graphic designers prepare artwork to be printed, they probably had left out a lot of details in art school, and I'd be best educated by finding out first hand. So I did. I was the first female press operator ever hired by Insty Prints in Orlando where I eventually became a manager. Running a printing press can provide multiple daily lessons in humility. Although, I ran a small one color press, its a machine. A machine that couldn't care less how upset, baffled, or angry I got if it would not cooperate and print ink on paper like it was supposed to. There are many things that go wrong in printing. One of the persistent challenges was getting the paper to feed properly and come out the other side, paper intact and ink in all the right places. The process of paper feeding has at least five different things that can go wrong all with different settings. And here's my point - if you changed all of them at once, even if the problem was fixed, you couldn't know what you had done to fix it. So the proper way to solve a problem is to do one thing at a time. In printing, say the paper just sits there - won't feed at all. Check the vacuum control, the suction cups, the paper feed table, the paper itself, and the press speed. Any or all of these could be the problem. But if you change everything at once, you will never know if it was all of them, or if just one or two, which one or two. See what I mean? Business, especially marketing works the same. So does life if you think about it. Each January we hold a membership drive. New members and former members can join for only $37.50. And this year, new or former members who join during our membership drive will also receive our newest online course - Building a Better Business - for FREE. We know that not all of our subscribers have joined yet, what are you waiting for? Now is the best time to join. Our Members Only Courses can each be purchased as stand alone courses. Building a Better Business is free for new members, in February existing members will be able to enroll in the course for only $45. Its full of resources, strategies, and ideas to help you, well ..., build a better business. Our second members only course, Sales Secrets for Document Preparers, is free with your first purchase of five or more third party family law leads. Or you can purchase the course as a stand alone course for only $85. Document preparers are typically extremely knowledgeable about the forms themselves, and court procedures; but may need some extra training in sales. That's why we're offering this course. Every January we offer membership for only $37.50. Members who join in January must also renew in the same year. All memberships renew on June 1. Every year there are a few members who join in January at half price ($37.50) and are then upset when they realize that they have to renew in June. We have always had this policy, membership fees are not pro-rated, never have been, and we have no plans to pro-rate them. This year, we are offering a free course to new members - Building a Better Business - that comes right along with membership. In February, when we release this course to other members the course tuition will be $45. So, if you've been lurking, January is the best time to join. You pay only $37.50 and also receive the free course valued at $45. If you take advantage of $55 early renewal available in April annual membership is only $47.50. In February membership goes back up to $75. and will stay at that point for new members. New members who join in February or March pay $75; and need to renew June 1. New members who join in April or May will not need to renew the same year on June 1; instead renewal is not required until the following year. We want to welcome new members. Our membership is growing, and with our members our association grows stronger every year. We want to make sure new members know, and also remind our long time members that we foster a culture of collaboration within FALDP. Yes, sometimes we compete with one another, but at the same time we are all members of a group larger than the sum of its parts. If any member needs help with a project, or has a question I can answer, I'm happy to help. When I don't know the answer, but I know another member might know, I'll suggest who to contact. Each of us has knowledge and experience that may help another. Share freely with one another. You may need that member's help next time. Please be helpful and considerate towards your fellow members. We are colleagues and are all in this together serving pro se litigants against extreme odds. Please refer to the Membership Page on our site that details policies regarding membership and renewal. We have offered early renewals for the past few years, and many members take advantage of it. We encourage you to familiarize with our membership policies regarding renewals and other policies that may affect you and your business. When new membership applications are approved we send our standard "Welcome to FALDP" email which includes instructions and upload links for providing your information on the membership directory; and for your mini-page. Your membership listing is one of the most valuable benefits of joining FALDP. When consumers call, we go straight to the Member Directory in their county to refer them to a member. If your information is not there you're not likely to receive referrals. We encourage you to include your name, not just your business name, but also your name in your listing. Consumers are more comfortable calling a person than a business name. As a policy change, we will be posting information for you on the Member Directory if we do not receive it from you within a few weeks of joining. We realize you may be a new business and may have not yet built your site, or haven't completely set up your office, but for the sake of transparency we will be posting the information you provided to us on your application, unless you provide us with your listing information. Consumers check our site to make sure a document preparer who states they are a member of our association is in fact a member. No doubt the information you provide will be better than the information we glean from your application, so we encourage you to upload your membership information as soon as you can. Likewise, we created the Mini-Pages so that consumers can learn more about you, and feel more comfortable doing business with you, use that resource as well. Its part of your membership. We realize that in some areas there is a lot of competition for work. Competition from other document preparers and competition from attorneys. Take the high road every time. Please refrain from insulting anyone online, its unprofessional and reflects poorly on you and all of us. Be careful about how you handle yourself on facebook, I have seen face book screen shots used as evidence against a document preparer accused of unauthorized practice of law. Try not to use phrases such as: free consultation, instead say - call us for a price quote; Don't say - low cost legal services; instead say - professionally prepared legal documents may be all you need as an alternative to costly legal fees. Remember to display our FALDP logo in all of your advertising online and off. Our credibility will help you instantly earn the trust of your prospective customers. Remember, when offering services to the public to refer to yourself as a legal document preparer. Do not refer to yourself or advertise your services as a paralegal. It does not matter if you are a Florida Certified Paralegal, or if you have years of experience as a paralegal - you are not a paralegal when advertising your services to consumers. The only time you can refer to yourself as a paralegal is when you work directly under the supervision of an attorney. If you offer your services to consumers as a legal document preparer and also offer your services to attorneys as a contract paralegal make sure that the distinction is perfectly clear in all of your advertising. And those of you, who have the word "paralegal" as part of your business name or website, but are offering document preparation services to consumers you are inviting a complaint from the Florida Bar UPL Committee. Don't say we didn't warn you! I'm not convinced anyone outside of craigslist is sure exactly how craigslist flagging works. I will say, that when posting on craigslist you get what you pay for. I rarely post ads on craigslist, I let Julian handle that for me. He does a good job of getting my ads and FALDP ads to stick. Apparently, there are a couple of things to know. First, once your ad has been flagged, it might always be flagged, so don't bother re-posting the same ad. Rewrite it, use a different headline, pictures, and body copy. If that doesn't help, get a new account, because your entire account may come up in craigslist super computers as ads to be flagged. Do not automatically assume that it is your competition that is flagging you, although there is really no way of knowing. Most of all, if you're having trouble with craigslist ads sticking, post elsewhere. We have success with many other free classified sites. Ebay classifieds, backpage, and pennysaverusa are examples. And, if you just don't want to deal with posting your own ads anymore - let Julian do it. 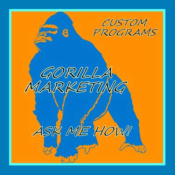 Julian heads our Gorilla Marketing unit. His flyer is sent out with all Welcome to FALDP emails, and you can find him on our site by clicking on Internet Marketing on the right hand navigation column under Document Preparer Resources. Or better yet ... let Julian's Legal Doc Prep do it. Julian heads our Gorilla Marketing unit. His flyer is sent out with all Welcome to FALDP emails, and you can find him on our site by clicking on Internet Marketing on the right hand navigation column under Document Preparer Resources. A few weeks ago, I posted the following on the FALDP blog - Legal Sunshine SC14-721 The following Clerk Alert was sent out by the Palm Beach Clerks to the legal community to let people know about changes that will soon take effect. At the moment it is not entirely clear whether all counties will be strictly adhering to this order. I called the Pro Se Help Desk in Sarasota County and the representative was not aware of new formatting requirements, even after he conferred with his supervisor. However, my associate in Palm Beach County who first brought this to my attention was told by the clerk's office that in Palm Beach County the new formatting requirements apply to all documents filed in that circuit. This has potential to be a huge ongoing mess. The Supreme Court published new family law forms [Financial Affidavits and Petition for Simplified Dissolution] which are also effective on 1/1/15, but they are not formatted according to the new requirements. So which is it? Also, the Bar President asked Ken Burke (Clerk of Court) what their interpretation was of the margin issues (all vs. only-to-be-recorded documents). They want them all formatted this way, but they are not going to police it for a very long time. And Jennifer Milne, Esq. let me know that after contacting the Florida Bar, it seems that the Palm Beach clerks of court have overreacted to the new Supreme Court Order regarding document formatting - SC14-721 - and at the moment only official records are immediately required to be formatted in the new formatting, as the order states. Official records include documents like deeds, lis pendens, and orders. We held an Ambassador Conference call on January 9 to compare notes regarding the new formatting. Many of the Ambassadors had contacted their local clerks prior to the call, and we found at that time, that only Palm Beach County, had interpreted the order to mean all documents filed, instead of official records only. Both family law financial affidavits - the long and the short - have been updated as of 1/1/15. In addition, there is an updated form for the Petition for Simplified Dissolution of Marriage. The financial affidavit forms within our online courses, and in our forms packets have been updated. I'm taking suggestions for the location for our 2015 Conference. Last year we held the conference in Daytona Beach and we try to alternate our locations from coast to coast. If anyone has a suggestion for west coast Florida, please let me know. Inland is not out of the question, as long as there is plenty to do for family members that might be brought along. So far, on the west coast we've held a conference in Venice, and one in Cedar Key. We like to host conferences in out of the way places that are not too expensive, and not in the midst of tourist season for that area. Our conferences are always held in September or October. Please let me know if you have suggestions, and if you have an in with a resort or venue, it would be very helpful. We were hoping to have an outline for new course bundles by now, but we don't. Newly configured course bundles will be released in February so that you can enroll in courses at a discount. Look for information on our home page and online courses page the first week of February. We're in the process of updating our Member Handbook. The updated version should be available in the next few weeks. 1. Take advantage of our annual membership drive - pay only $37.50 to join during January. 3. Increase your business credibility by displaying our logo on your site. 4. Increase your income potential by taking our online courses. Learn more = Earn more. 5. Advertise your services in our Membership Directory. 6. Let the world know about your business on your own page on our site. 7. Participate in our free online webinars which include topics like: The Virtual Business Model; Best Practices; and Avoiding UPL. 8. Attend our annual members only conference.